Efficiency Maine’s website offers so many options for residential energy improvements that homeowners may feel a little overwhelmed. Where to begin? The site’s Residential Virtual Tour provides an easy way to visualize your choices. Seeing the cross-section of a home lets you look at all the potential spots—from basement to rooftop—where upgrades could pay big dividends. 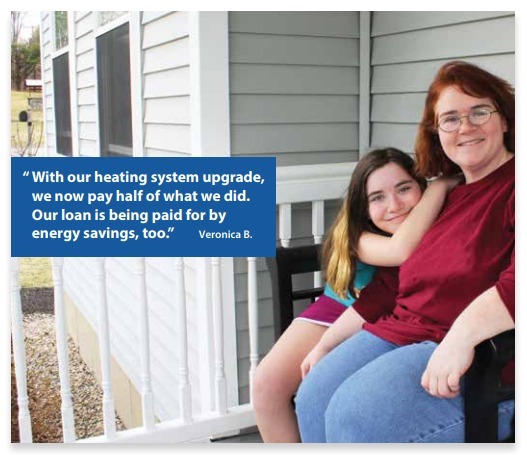 Best of all, the graphic is interactive, so each visual in the home links to more detailed information on that technology, and the available incentives from Efficiency Maine. Go from floor to floor and room to room, seeing which technologies might make sense for your home. These range from changes as small as switching an incandescent to an LED bulb and as big as adding insulation to your attic. Many links in the tour take you to Efficiency Maine’s Home Energy Saving Program page — where you can begin the process of making improvements. That page will help you find an appropriate contractor to help complete the improvements you seek.